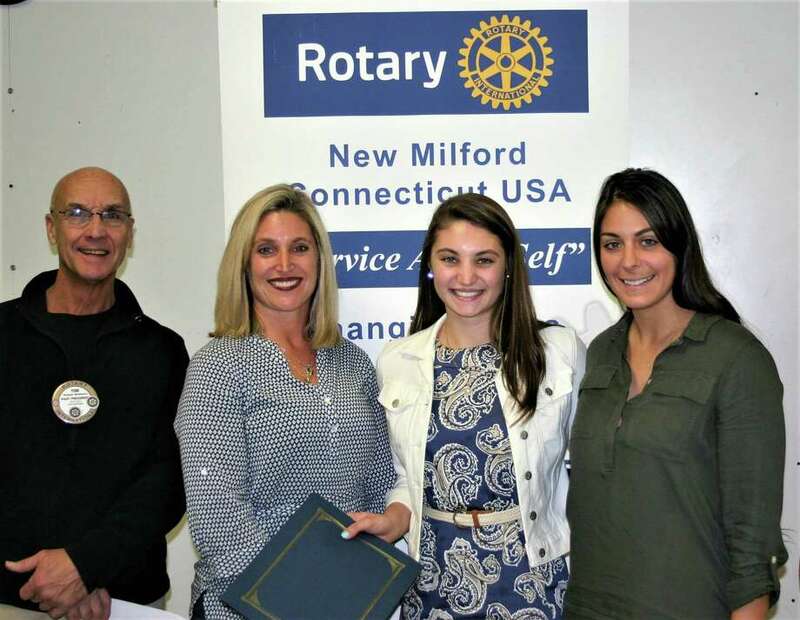 The Rotary Club of New Milford recently presented its November Student of the Month Award to New Milford High School senior Mackenzie Antonucci. Mackenzie has been a part of the All-Conference Academic Team for three years, is a member of the National Honor Society, the Spanish Honor Society and captain of the NMHS volleyball team. She volunteers with the Girls in the Groove running club for students in third through fifth grade and at the Maureen Haas Cross Country meet in the school system, and works at All Aboard Pizza. Mackenzie will major in physical education/management with the goal of becoming a physical education teacher. Mackenzie, second from right, is shown above with, from left to right, Rotarian Tom McSherry, Mackenzie's mother Julie and NMHS phys ed teacher Victoria Murray.